In the market for a new compact luxury sedan near Tustin? Then you’ll want to consider the Acura ILX. The ILX starts at $25,900 MSRP* and is available in four packages: Acura ILX Standard Package, Acura ILX Premium Package, Acura ILX Technology Package, and Acura ILX A-Spec® Package. 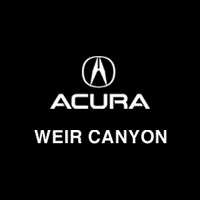 Explore our inventory of new Acura ILX for sale in Anaheim. When you’re ready to buy one of our 36 new Acura ILX for sale, calculate your estimated monthly payments and then apply for financing online. Why Choose One of Our 36 New Acura ILX for Sale in Anaheim, CA? With each of the Acura ILX configurations, you get impressive standard and available features, performance, and technology. All four options run on the standard 2.4L aluminum-alloy four-cylinder engine. Front-wheel drive is standard, and inside, you get Bluetooth® Streaming Audio, Speed-Sensitive Volume Compensation, Apple CarPlay™ and Android Auto™ integration, and leather seating for five. After you’ve chosen your favorite ILX model, visit our showroom to review the Acura ILX for yourself. Contact us to set up your test drive!